As you might have noticed, we are kind of experienced in the wrap-up business, delivering you the most interesting supply chain news of the week each Friday. David Weaver, who left the All Things Supply Chain Blog as chief editor in October (but will return as a guest contributor very soon), already did the usual wrap-up for the year in his last post. Since it would not make sense to do the same thing again for the last post of the year, I thought we could wrap-up up 2018 in a very different way. So meet our blog team and their personal supply chain highlights of 2018! In terms of research and gathering information, an obvious key resource would be the internet, or more specifically social media. Social media can help supply chain participants to easily gather information from a whole range of sources including industry experts and customers, and to share information freely across the supply chain. Boeing’s struggle to keep up with demand- The two largest plane manufacturers Boeing and Airbus are striving to meet demand and overcome a long list of backlogs in their supply chains. Boeing has suffered many supply chain fall backs during 2018, which it isn’t expected to fully recover from until the end of its 4th quarter. The company has been unable to keep up with demand (particularly for its 737 model) mainly due to production problems surrounding fuselage and engines. A large contributor to Boeing’s supply chain woes is the shortage of highly skilled workers, such as engineers, who are needed for production and the construction of planes. Desperate times call for desperate measures: At one point the company had to call back retired employees to help finish putting the planes together. The plane manufacturer ran out of space to store its unfinished 737 planes, as they just kept on piling up. Adidas uses 3D-printing to mass produce sneakers- Adidas expects to roll out around 100,000 of its new 3D-printed sneakers by the end of this year, in collaboration with Silicon Valley-based startup Carbon; it also has ambitious plans to ramp up its 3D production to millions in the coming years. If all goes to plan, this would make Adidas the world’s “biggest producer of 3D-printed products.” Mass production has been one of the biggest challenges for 3D-printing to overcome. Unlike traditional 3D printers, Carbon’s technology is able to produce much quicker and with virtually no support material. Carbon’s printers use a liquid resin, which is molded using light and heat. Fleet Innovation Beyond the Robots- It was a very difficult choice to make, but I particularly liked this article because it can be easy to get caught up in the current automation hype and we can forget that there are plenty of other more immediate and potentially disruptive solutions out there for optimizing logistics operations. Kelly Barner- We are very lucky to have been able to work with Barner numerous times as she never fails to produce insightful and engaging content, using her extensive knowledge and experience in the procurement sector. We look forward to working with her and many more guest writers next year. People- Although the influence of machines and robots is growing stronger in all areas as well as in the supply chain, people are still the most important resource here for me. Their ideas and experience cannot be replaced so quickly. Tesla’s production hell- Tesla’s supply chain frequently raised questions in 2018. Since the beginning of the year, the electric car manufacturer has had to stop production several times for a few days, causing massive delays for orders of the then highly demanded Model 3 car. A major bottleneck was the production of batteries. At one point its Gigafactory employees were assembling Lithium-Ion batteries by hand. The company assumes that this problem has largely been solved and was able to catch up on its production figures in the last quarter. Launch of the world´s fastest delivery drone- Zipline, a California-based start-up focused on the delivery of medical supplies by drone, has developed a new drone that can travel up to 79 mph and carry 3.85 pounds of cargo. What’s even more impressive about that story: the logistics network that Zipline has built up over the last two years for its drone program in Rwanda, which involves transporting blood for transfusions to remote clinics. These drones enable the rapid transport of life-saving blood to areas that would otherwise be very difficult to reach, due to poor road conditions. If Mozzarella increases the graduation rate, Big Data is wrong– I love mozzarella. And I also like this year´s article about the impact that uncontrolled data handling can have on decision making using the example of Mozzarella. In this article, Peter Frerichs clearly shows that the correlation between the consumption of mozzarella cheese and the number of graduates of civil engineers – or vice versa – does not mean a causal relationship. Big data analyses and interpretations require special expertise. David Weaver- After 6 years of supply chain blogging, David has decided to start a new chapter. 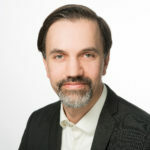 Six years ago, he created the All Things Supply Chain Blog (formerly known as the Inventory and Supply Chain Blog), a content platform for the supply chain industry where managers could gain insight into issues such as inventory management, demand planning, supply chain optimization and logistics management. A great achievement that, in my opinion, definitely deserves this year’s ATSC Award! It is difficult to commit oneself to a single resource, as research often goes in very different directions. Paul Page’s Twitter account is extremely valuable for general supply chain and logistics news. I also spent a lot of time at Supply Chain Management Review, the articles and analyses published here are of high quality by the bank and recommendable for everyone who wants to stay up to date in Supply Chain Management. I myself was a “victim” of what I believe to be the biggest supply chain fail in 2018. The weather in Central Europe, which had been much too dry for months, had almost dried up the most important waterway, the Rhine, meaning that larger transport ships could no longer use this route. It turned out that a large part of the fuel for cars and trucks in Western Germany is normally transported across the Rhine. Consequently, numerous gas stations across the country were left with empty pumps and I drove around checking the gas pumps at several stations, only to find that there really was no gasoline left in the vicinity. I had to travel further and further out of town just to find a gas station with fuel left. The back-up plan for such a case was to reload the cargo onto trucks, but there were not enough trucks available in this situation and the existing ones were piled up in front of the refineries. As climate change worsens, cases such as this one will become more common and the industry will thus have to learn to adapt and implement emergency plans more quickly. This is still a very fresh story and actually only an announcement. I have been following the topic of Hyperloop with great interest for a long time and so it almost surprised me that a Hyperloop is soon being built at the port of Hamburg to transport shipping containers. While I remain a bit skeptical, Hyperloop may also prove to be very useful for transporting people (although I probably wouldn’t step foot on one). In the area of logistics, there are of course plenty of other modes of transport with much less risks. I am curious to see when I will be able to see this project up and running in person. AI Needs Us More than We Need It – For Now- This one is by our recurring guest blogger Kelly Barner. I consider myself an AI enthusiast – but regardless of whether you are an enthusiast like me or have a more skeptical attitude towards AI, in order for the technology to reach its full potential right now, we all need to take a step back and keep all our hopes and fears out of the discussion. Kelly made some important points here. If you haven’t read her article yet, check it out now. My ATSC Award goes to David Weaver, who created the ATSC blog and is now dedicating himself to other projects after 6 successful years of blogging. I remember with admiration how important it was to him that we keep to our regular publication rhythm, and that he never hesitated to work overtime when the next article was far behind schedule. Thanks to David for entrusting me with his favorite project and for continuing to be an author on the blog. Social Media- The supply chain conversation is becoming more engaging on both LinkedIn and Twitter. These two platforms are the best ways to stay up-to-date in the supply chain industry. The biggest story that comes to mind when thinking “fail” in 2018 was the KFC situation in the UK: a fried chicken chain ran out of chicken. This supply chain disruption led to an estimated loss of £1 million per day. On the flip side, KFC managed the situation, at least from a PR standpoint, quite well. And since there were no big follow-up stories or disasters, the fast food chain seemed to have found a reliable supplier replacement that met their quality needs. Despite jarring from their competitors and enormous revenue losses, KFC took it with humor and managed the situation in a professional manner. I think the truck driver shortage across many countries is a very interesting story, and we heard a lot about it in 2018. We hear a lot about autonomous trucks that are coming to save the day, but is this really the solution? The fact that there is still no real relief in sight for many cases makes this story quite relevant for the logistics industry in the coming years. It’s time to get creative! My favorite article in 2018 was one I wrote myself: “4 Supply Chain Lessons from My 1-Year-Old Daughter”. Firstly, I enjoyed writing it and finding similarities between my new life as a dad and supply chain management. Secondly, I believe many of the points I covered are still very relevant for supply chain managers in 2019. Demand pattern recognition, risk mitigation, collaboration and an openness for change will prove to be key ingredients in the 2019 recipe for success. My ATSC Award goes to Kai Keppner for seamlessly and successfully taking over the editor role at All Things Supply Chain and continuing to supply the industry with fun and informative articles. There is still one last thing that needs to be wrapped-up and it is this blog post. Everyone here at the All Things Supply Chain Blog would like to thank all of our readers, guest bloggers and social media followers for your constant support, interactions and content. We also want to wish you Happy Holidays and a fresh start into 2019. The All Things Supply Chain blog will be going into hibernation mode for a few days, returning on January 7th with the first post of the year. 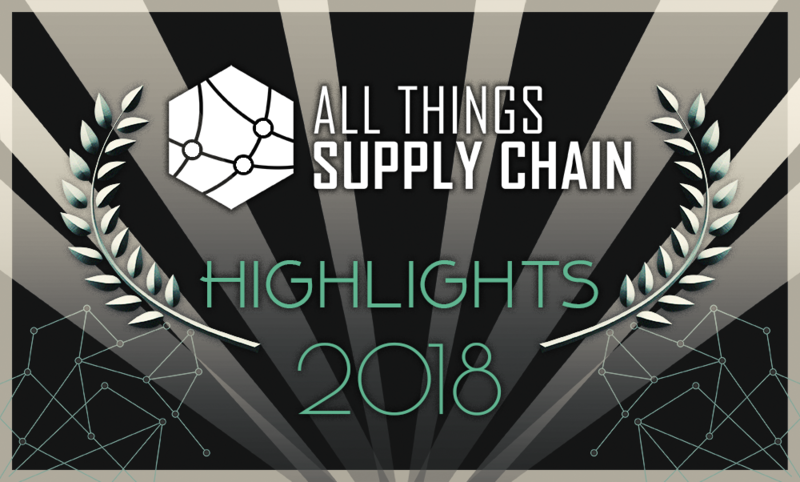 What are your personal supply chain highlights of 2018?